I would like to announce the Second Annual Crenshaw HealthFest. We encourage you to stop by and help us raise the Health IQ in South Los Angeles. 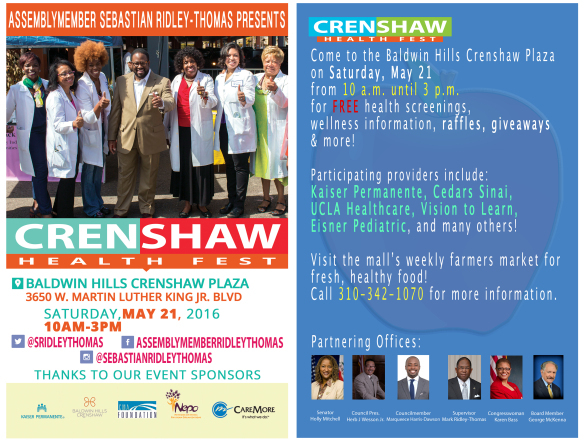 Please share this flyer on social media using the hashtag #CrenshawHealthFest. If you would like printed copies of the flyer, please let me know!